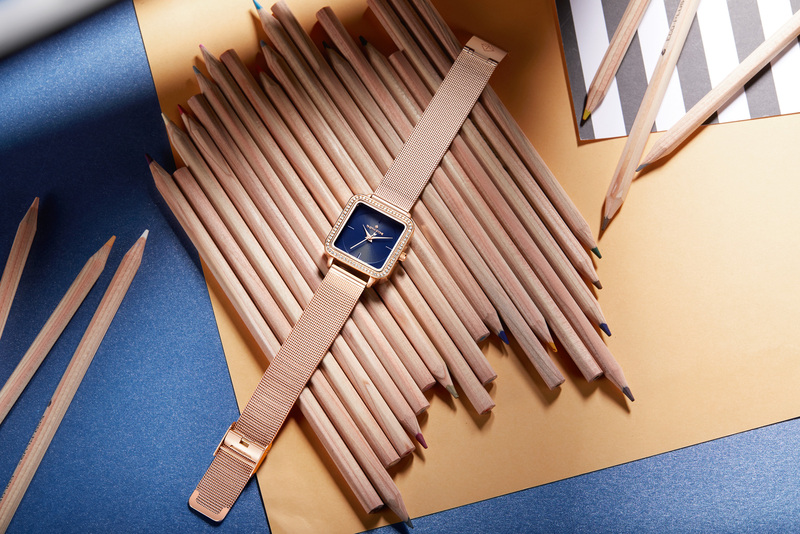 Timothy Stone’s latest collection of tastefully designed watches reaches new heights of dignified but ritzy wrist jewelry. Making a watch that is simultaneously square and round may sound mystifying, but just one look at the graceful faces surrounded by a single row of scintillating Swarovski® crystals that both mirror and define their shape will convince you that at least one of the Quartet collection is truly your heart’s desire. The Quartet Collection is available in metallic black on black, and yellow or white gold alloy finishes are complemented by a smart white face. The Timothy Stone signature pink gold effect is brought to you with an exquisite, deep velvet blue face. Timothy Stone’s latest collection of tastefully designed watches reaches new heights of dignified but ritzy wrist jewelry. 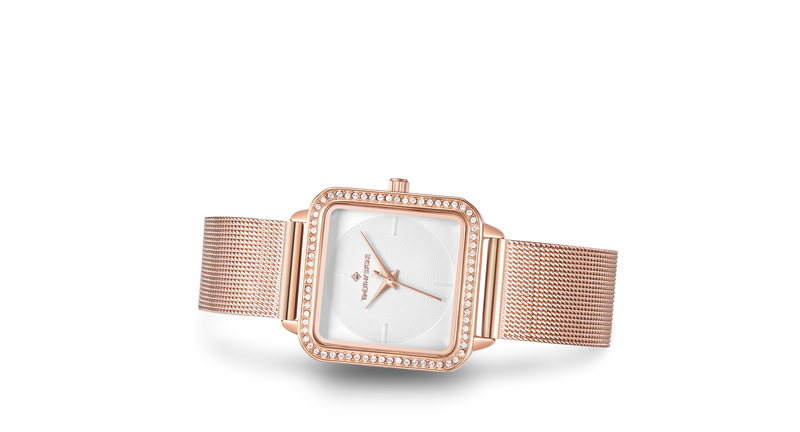 Making a watch that is simultaneously square and round may sound mystifying, but just one look at the graceful faces surrounded by a single row of scintillating Swarovski® crystals that both mirror and define their shape will convince you that at least one of the Quartet collection is truly your heart’s desire. 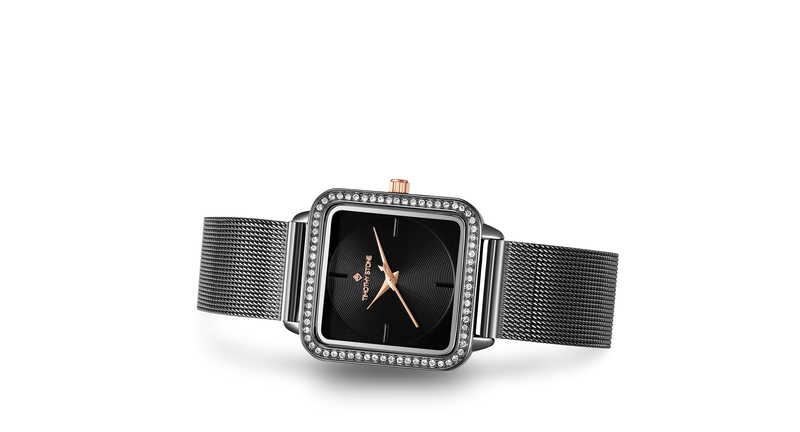 The Quartet Collection is available in metallic black on black, and yellow or white gold alloy finishes are complemented by a smart white face. 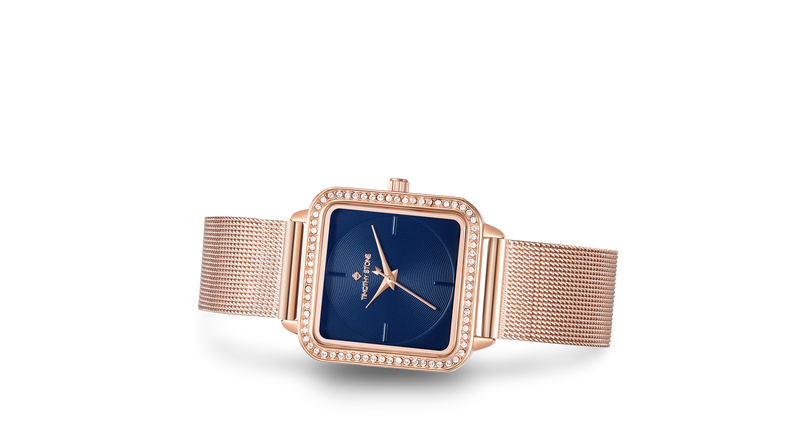 The Timothy Stone signature pink gold effect is brought to you with an exquisite, deep velvet blue face.